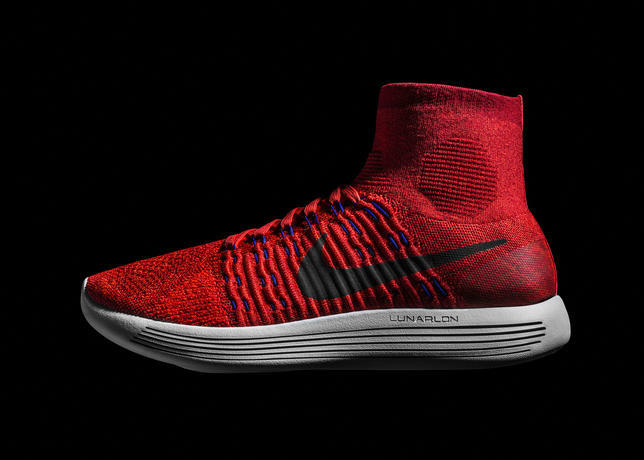 The conception of the LunarEpic Flyknit began over 18 months ago with the contemplation of a global football boot. 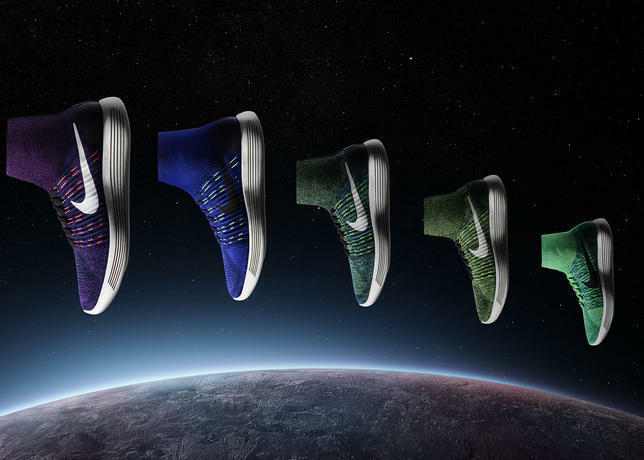 Taking insight from Nike’s Magista — which allows the foot, ankle and lower leg to work together as a single unit to emphasize natural movement and a feeling of fluidity — the company’s running designers set out to create a shoe that imparted this same sensation, while still serving runner’s key needs: fit, feel and force. 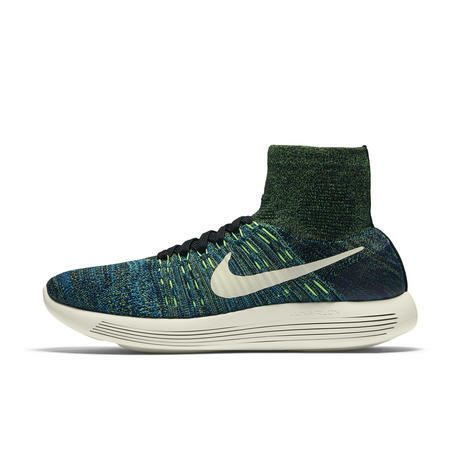 They began by constructing a lightweight, breathable one-piece Nike Flyknit upper, engineering different densities directly into the knit for precise support: a snug fit at the arch, heel and forefoot. 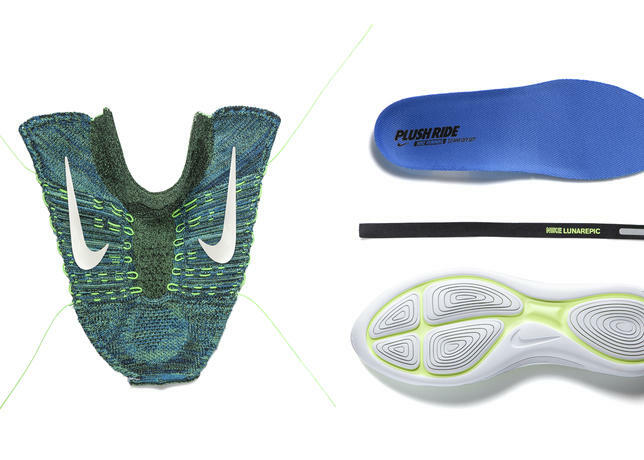 Meanwhile, the aforementioned mid-height collar was added to facilitate lockdown, both physically and sensorially, and Nike Flywire cables were knitted in for additional strength and a close, dynamic fit. 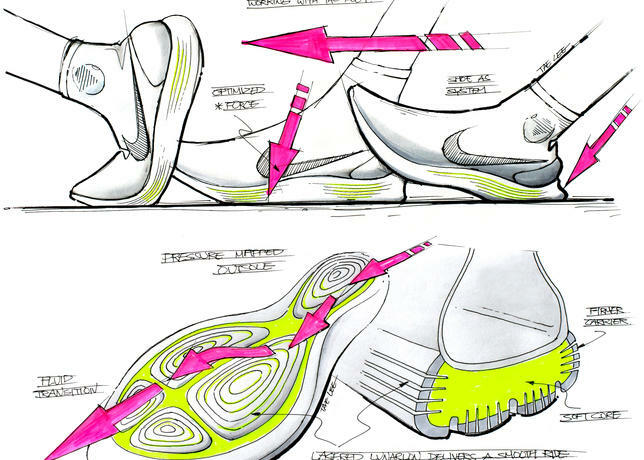 Moving to the midsole, the designers employed a new dual-injection technology. 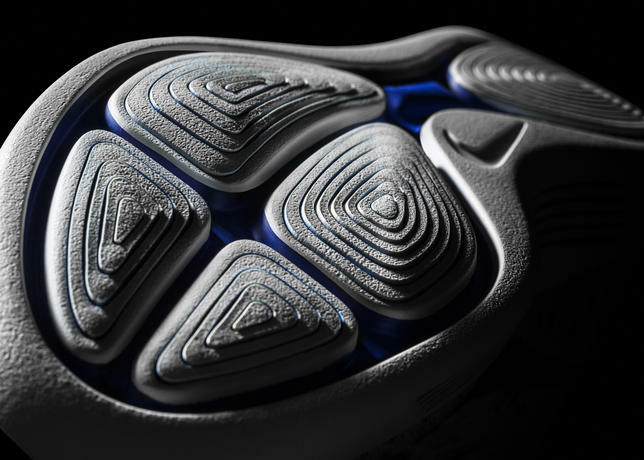 Using heat, instead of glue, they fused two foams into one piece that still features traditional Lunarlon construction, with an IU foam carrier and soft IP core. 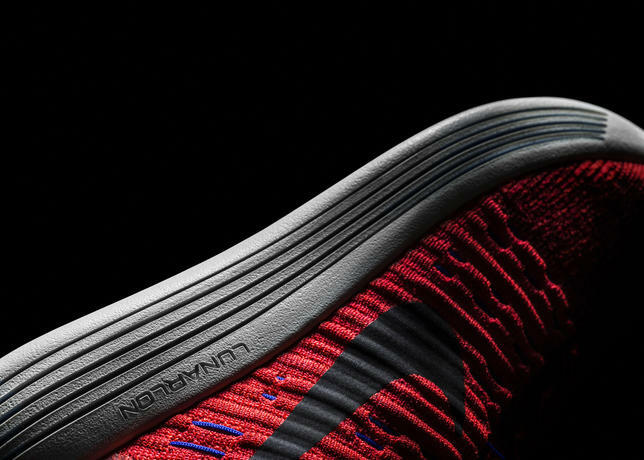 Laser siping on the side of the midsole facilitates cushioning and targeted flexibility. 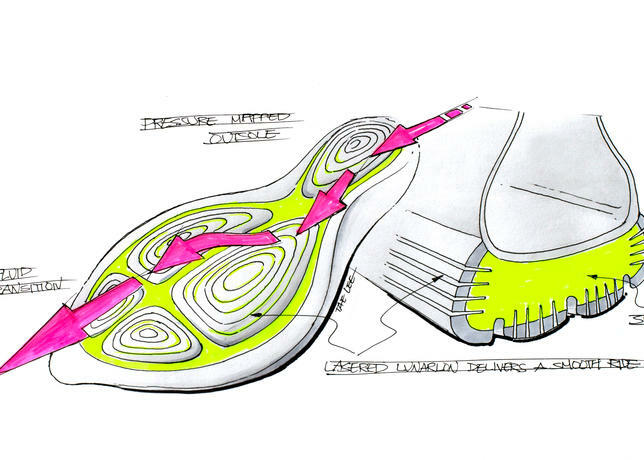 Next, a rubber-free outsole with laser-siped geometric pistons inspired by pressure maps of the foot was added. 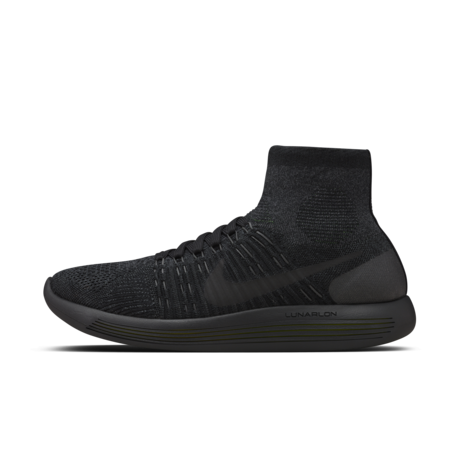 Constructed of Lunarlon foam, each piston moves individually, enabling pointed compression that results in an exceptional ride. 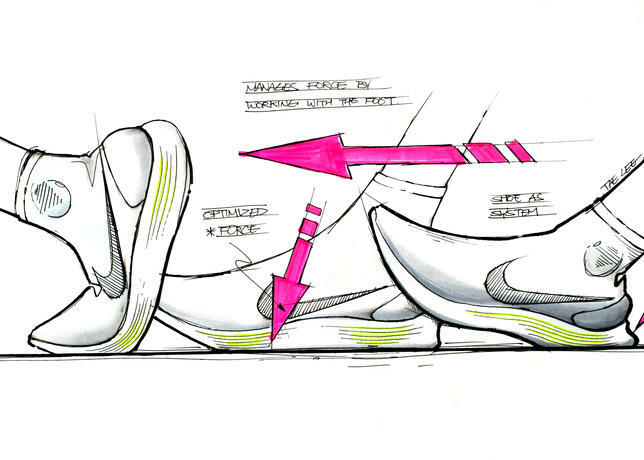 Maximizing both cushioning and traction, it provides unrivaled heel-to-toe transitions and propelling energy return. 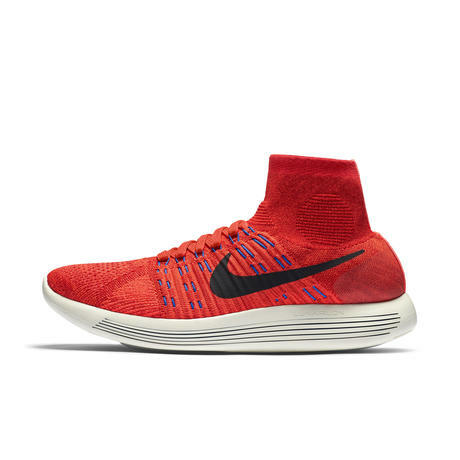 When combined, these few potent components form an unprecedented shoe with a virtually vanishing fit that adapts to the body in motion for a fluid feel and superior softness. 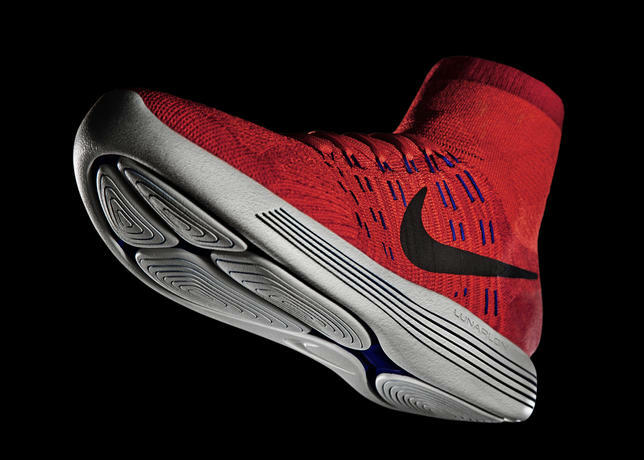 Incredibly versatile, it is ideal for runners tackling a distance workout, progression run or recovery run. 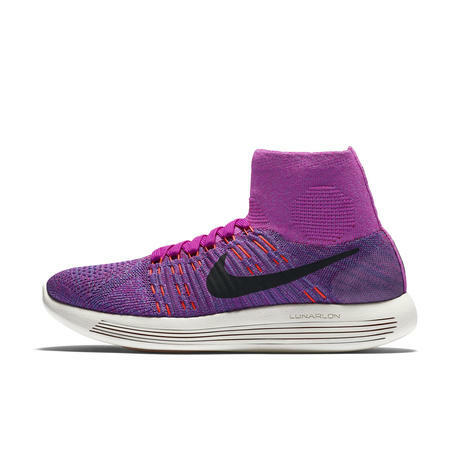 The LunarEpic Flyknit is available starting March 3 at Nike.com and retail locations. 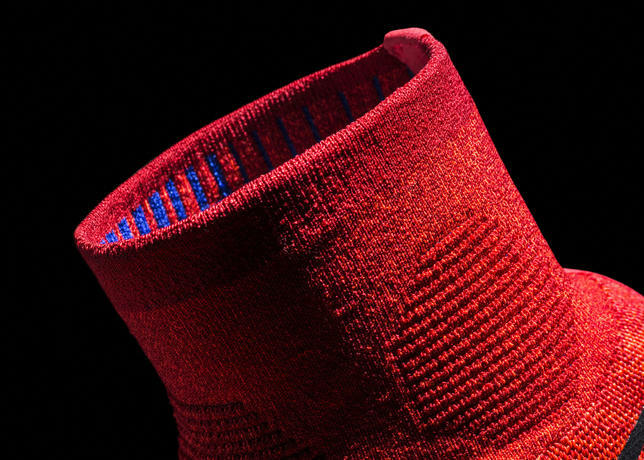 An exclusive colorway of the LunarEpic Flyknit will be available at NikeLab retail locations.